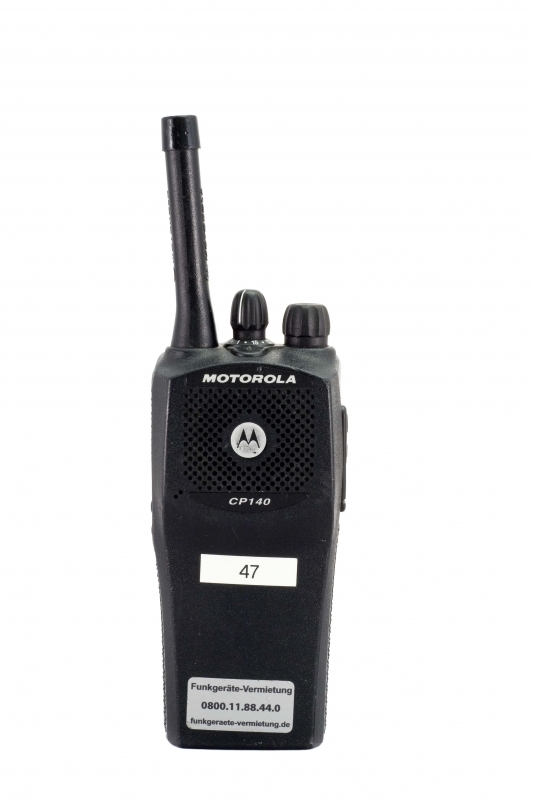 The Motorola CP140 is a professional, 16-channel, hand-held two-way radio. 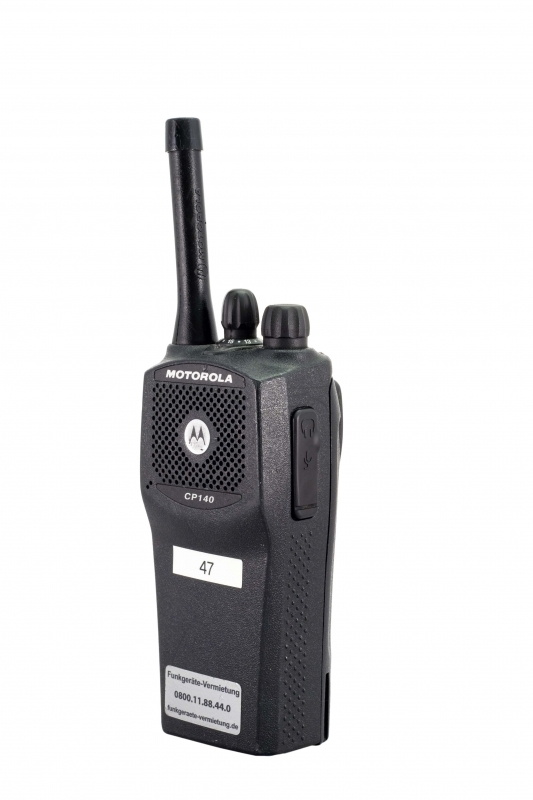 It is characterised by robust craftmanship, easy handling, an excellent coverage range, and, last but not least, renowned Motorola technology. Reasonable rental price and professional technology combine for efficiency in virtually every type of deployment. In terms of technology and features, the CP140 compares most closely to the Motorola GP340. 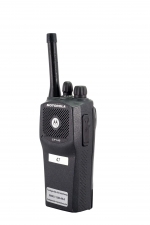 In contrast to PMR two-way radios from the usual discount shops, the two-way radios we rent are professional radios with exclusive interception-protected frequencies and a huge coverage range. For this reason, we can guarantee interference-free radio communication for virtually any production. Naturally, we also deliver the CP140 overnight with TNT Express one day before use and collect it one day after you are finished. Subject to availability in the rental park. We will gladly make you an individual, non-binding quote incl. Headsets and accessories(for example Holster GP340). Call us at +49 30 2938197-0 – or write mail mail@Radio-Rental.com.